Delightful handling, easy to use every day and reliable if not abused. Low running costs. Plenty around at keen prices. Rust can be a serious problem. Some versions suffer from clutch judder. 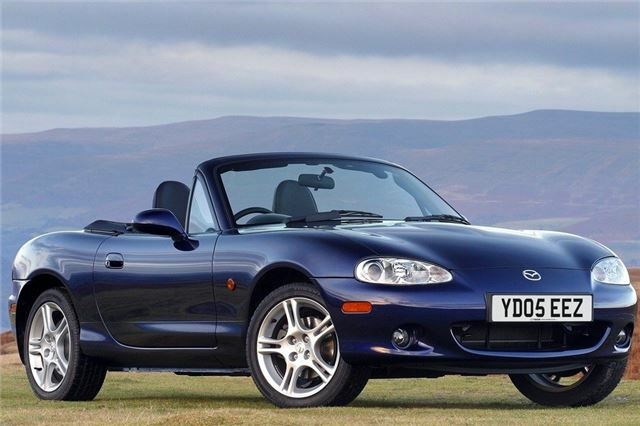 It was the MX-5 that controversially ditched the pop-up headlamps. But this decision, which was taken to improve pedestrian safety, has given the Mk2 (or NB) a rough ride in classic circles. But the revised styling wasn't the only thing bugging fans of the original two-seater. With anti-lock brakes fitted and a few other bits and pieces, the car tipped the scales at 1065kg - nearly 100kg more than the Mk2 (or the equivalent of an extra adult passenger and a child). For a car that placed so much emphasis on Colin Chapman's 'Simplify, then add lightness' philosophy, the second incarnation of this Japanese roadster had strayed dangerously off piste. 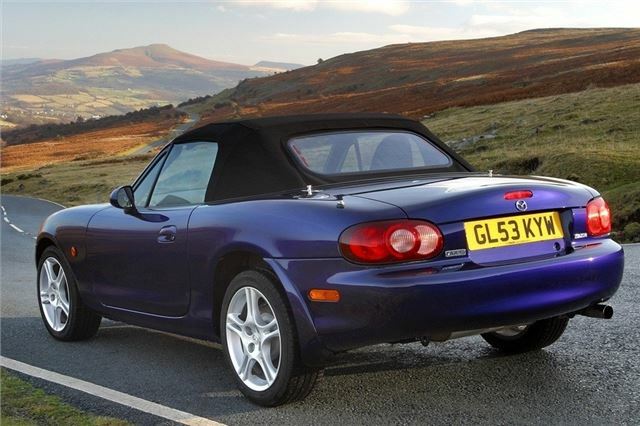 But aside from what the motoring scribes would have you believe, the Mk2 MX5 was (and still is) an excellent car. It lacked none of the orignal's fun and the beefed up brakes made things a whole lot easier on the twisty stuff. It was also a bit more comfortable to live with than the Mk1. For a start, the list of standard kit had grown and the ride and refinement was improved (a bit) and power was up and it seeked to see off competition from the like of the Toyota MR2 and even BMW Z3. Nowadays, as prices for the original start to creep up, the Mk2 is classic bargain that is often overlooked.